How to Add/Change My Birthday on Facebook: Adding your birthday date is very important on Facebook, it helps your friends to keep in touch on your special because Facebook notifies all your Facebook friends on the special day. On account creation, it will be required to fill in your birthday details into your profile, if you skipped it then, you can re-edit your profile and input your date of birth or probably you made a mistake by putting a wrong date, with the procedures below you can also make a correction to your birthday date. You can as well choose to show the full date which will include the year, month and day or you can choose to hide the year and show only the month and day. Whichever one you choose, here are the steps to follow to make changes to your Birthday date. Open any Web browser and visit Facebook login page, then log in to your personal account. Click the "Edit My Profile" tab, which is located next to your profile photo on the top left side of the page. The next page displays your account profile editor. Click the drop-down menu that is located under your birth date to edit it, then fill in your birth date. Depending on your preference, you can choose the "Show my full birthday in my profile" or "Show only month and day in my profile" option. Select your preferred option. And that’s all; I hope this article was a lot helpful to change your birth date on Facebook? 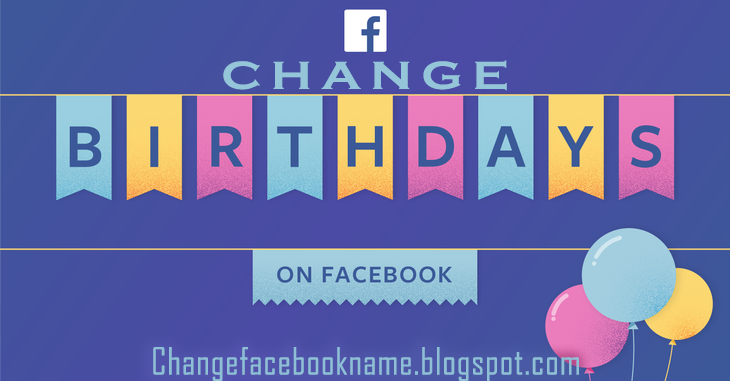 Kindly help to share this article with your friends and family so they could learn how they can share their birthday on Facebook.